You believe minimal is meaningful. We offer Galloway rentals to live light in. It’s a match made in heaven. Our studio apartments in Springfield, MO offer large windows for natural light, an open floor plan, luxury basics and a host of community amenities—like being steps away from local shops and eateries, shopping, breweries, the Greenway Trails and more. 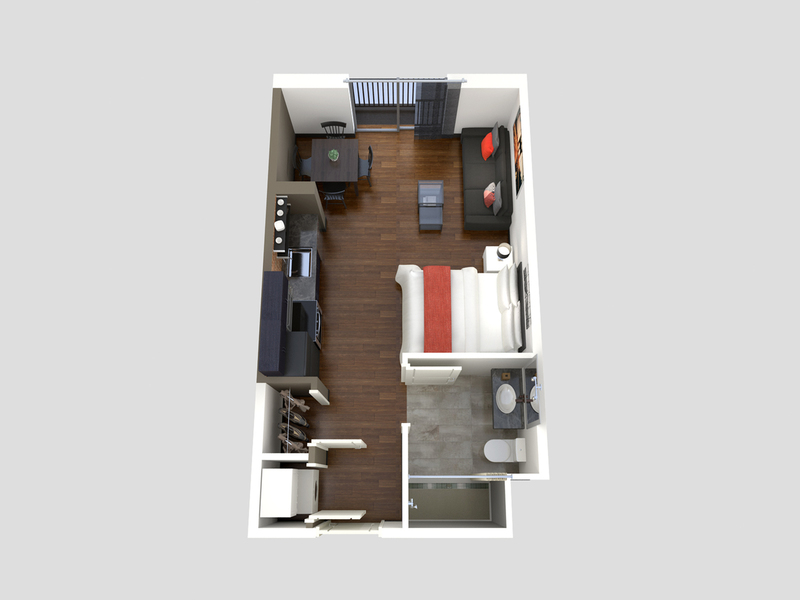 Take a look at our studio option above, or upgrade to our one-bedroom loft for a little more wiggle room.